Click this link to read about my life with CP. Remembering our American soldiers and allies in Iraq and their famlies. May they return safely home soon! I'm an adult with cerebral palsy (CP). There are many different types of CP ranging from mild to severe, and my type is somewhere in the middle. I have never been told by a medical professional what type of CP I have, but from what I have read, I think I have the Mixed type since it affects my balance, motor skills and speech. I have average intelligence, but some people assumes I'm mentally challenged just because of my physical limitations -- and especially my speech impairment. I feel if I could articulate my thoughts better, I would be accepted as the intelligent person that I am. (I have proven this theory to myself because I correspond with many more people now via e-mail than I ever did verbally.) Writing has given me a voice I never had before and has helped me disprove various misconceptions the general public has concerning individuals with disabilities. I'm like the average person since I like to have fun with my friends and family. Although I don't get out by myself, I enjoy going on trips and to country music concerts whenever I can. My wonderful family, especially my parents, makes every effort to take me wherever I want to go. I hope you learn more about CP from this site than you knew, but you won't find too many medical references about this disability here. This site is mainly about my life and how CP has affected it. If you want a more technical view of CP, you may be able to find some of your answers on the sites that I have provided links within these web pages. Cerbral palsy affects everyone differently, so please don't think every person with CP has the same abilities and attitudes as I have. I would appreciate you letting me know what you think of my site, so please sign my guest book below. At first, I didn't really know why I wanted my own web page. I guess it was just something new to try, and I like to be creative since I'm a writer. After I started designing it, a lot of ideas popped into my head, and I thought maybe I could use this site to share my personal experiences with CP. It is my hope that by telling about my life, it will encouraged others with cerebral palsy and parents of children with CP. Hopefully, this site will continue to grow. Please visit my other pages if you would like to know more about me and my interests. I haven't had any computer or website design classes, so I was honored when this site was given some special awards (which you can see by going to my Awards page). I want to say a special "Thank You" to Tink for making a beautiful background set for this page and for honoring me with two awards (found on my Awards web page) including the "Special Woman" award. (Unfortunately, I'm unable to display the background she made me after I moved my site from Homestead to here since I don't know enough about web building without using templates.) I truly appreciate everything you have done for me, Tink! I urge everyone to visit her site by clicking this logo. I've written for two local newspapers. In one newspaper, I have written a column since 1993 about the myraid aspects of being disabled. This is not only theraputic for me, but I believe my articles help my readers understand a little of what it's like to have a disability. You can read about how I became interested in writing and other important developments of my life on "My Story" and "My Journal" pages. Explore my other pages and visit often. I hope you enjoy your time here! My friend, Sandy a.k.a. Furby, created the above cool sig tag for me, so I'm displaying it here to share with everyone. Click the signature to visit her super Crafts & Family Fun site. Please visit the Cindy's Kids site! You may be able to help find a missing child by looking at the photos of missing children on this site. Cerebral Palsy Connection's soul existence is to bridge the gap and try to help people realize they are not alone in the world in everything that must be dealt with concerning Cerebral Palsy. This Cerebral Palsy Connection Ring Site site owned by Kayla Smith. If these Websites don't open, please temporary turn off your pop-up ad blocker. Click the below gift from Mikki to visit her "Grandma's House" site. These two graphics below were E-mailed to me by friends. Please feel free to use them on your web sites. 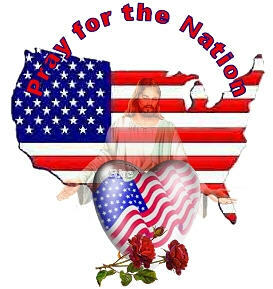 My net friend, Tink, has a wonderful patriotic page dedicated to the victims of the Terrorist Attack. 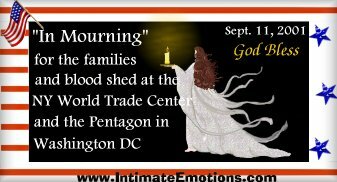 Click the below "United Heart" graphic (created by Tink) to visit her Unity page.